Quicktender Shutdown: Will Players & Affiliates Ever Be Paid? As your recent QuickTender withdrawal was not received into your nominated bank account we will be putting it shortly under the “Uncleared Balance” to your QuickTender Account. We are communicating with our bank to find out where your funds are currently located and why they have not been processed. The funds were transmitted by us in good faith through a major European bank, and have left our account. We understand that the money has been frozen in the US banking system, and you will appreciate that this is entirely beyond our control. We fully acknowledge you are the rightful owner of these funds. We will fully support you recover these funds and provide further details as soon as we can assist. Since our last email communication where we advised any funds in your QuickTender account could still be used to purchase at QuickTender accepting sites we had been working hard to reinstate our withdrawal facility and ensuring your funds where safe and secure. However, further developments specifically relating to our main bank processing company have resulted in our accounts being frozen subject to a seizure order giving us no ability to make payments in any currency. In light of these developments we have had no option but to discontinue the Quicktender service with immediate effect and for the foreseeable future. At this time we are unable to confirm when or if we could make payments of remaining balances. We will keep you advised of future relevant developments. Since then, we’ve learned that the funds have been frozen by the United States DOJ and their war on entertainment from the comfort of your home. So now, there’s little for players and affiliates to do but sit and speculate as to whether they will be paid or not. Personally, I’m optimistic and believe that, similar to the Neteller fiasco, eventually we’ll all be paid. But what do you think? Will players and affiliates get paid, or will we get stiffed? Can You Still Gamble at Online Casinos in the US? The rise of the Internet has been a tremendous boon to both casino operators and players alike. 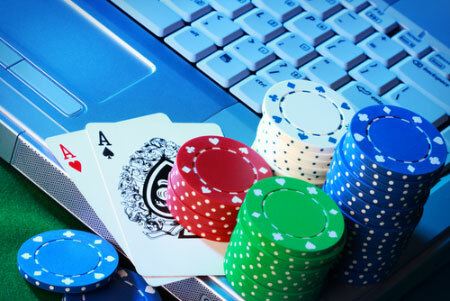 The growth of online casinos has made it possible for players to play casino games easily from home via their computers anytime they want. Online casinos also have vastly increased profits for website operators because the overhead on an Internet gambling site is far less than that of a brick-and-mortar live casino. The drawbacks to playing casino games over the Internet represent the shadow side of online gaming. Because betting is “virtual” via a credit account that the player must set up on the site, it’s easy to lose track of just how much money has been lost. There’s also the possibility of online identity theft if the website gets hacked. What’s more, people who are susceptible to gambling addiction find that it’s more difficult to stay off gambling websites than it is to stay out of live casinos. US players who’d like to play casino games online also face another major hurdle caused by the Unlawful Internet Gambling Enforcement Act (UIGEA). Passed by Congress in 2006, this federal legislation makes it illegal to transfer money over the Internet for the purpose of gambling. Thus banks, credit card companies and other financial agencies now must refuse to complete any transactions identified as being for the purpose of gambling. The result of the act has been to cause several online casinos and money transfer websites to leave the US market altogether. What UIGEA doesn’t do is make it illegal for people to play their favorite casino games online. Whether playing for fun or for money, there’s no law against playing casino games via the Internet. What has been outlawed are those methods by which players would “bankroll” their online playing via electronic fund transfers from bank accounts, credit card purchases, and other transactions. Consequently, online casinos that still accept US players have had to come up with ingenious ways for them to fund their website accounts that don’t involve using credit cards or bank accounts. Each website is different, so players should check out the sites to see which method might work best for them.